Variety is the spice of the Olympic Peninsula. Nowhere else in the Northwest will visitors find such a diversity of geologic and climatic forces producing such rich and varied effects. Coastal, temperate rainforest, lowland rain shadow forest, and alpine ecosystems thrive on this relatively small thumb of land, presenting numerous possibilities for exploration and adventure. The jagged Olympic Mountains were formed by subduction, an entirely different process than the nearby Cascades that owe their existence to volcanism. The Olympics are the crumpled layers of the dense oceanic Juan de Fuca Plate that were shaved off as it was pushed eastward and below the continental shelf in a process that covers millions of years. During the Vashon Glaciation that reached south nearly 15,000 years ago, ice sheets that were miles deep worked to erode the range and shape the surrounding territory, sculpting and filling the Puget Sound basin and the Strait of Juan de Fuca. Glaciers surrounded and isolated the peninsula long enough for scores of endemic species to evolve, and many are still protected in Olympic National Park. In terms of weather, the Olympics act as a front range, receiving the brunt of the moist Pacific weather systems that blow in from the west. A dramatic rain shadow phenomenon exists on the peninsula as a result of the geography and weather patterns: while sections of the western coast and rainforests receive up to 12 feet of rain annually and Hurricane Ridge can get 30 feet of snow over the course of the year, towns east of the range, such as Port Angeles and Port Townsend, receive precipitation amounts closer to 20 inches. Below are just a few examples of places to explore in each ecological zone of the park. For more, we've compiled an exhaustive guide to Olympic National Park, but don't overlook the numerous adventures elsewhere on the peninsula. 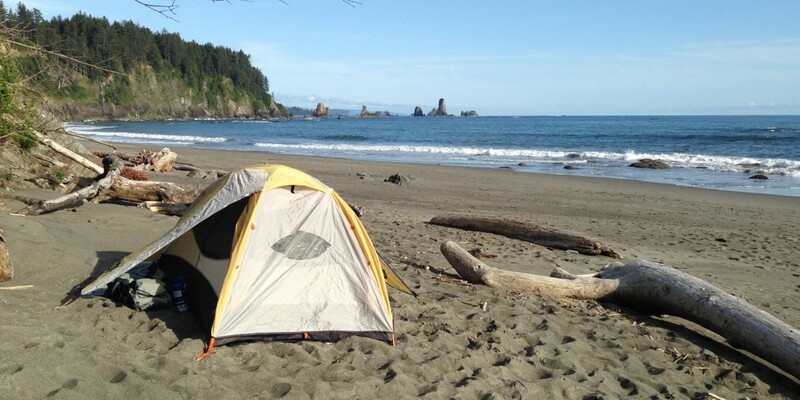 Exploring the Olympic Coast on an overnight trip. Photo by Brent Uhrig. Ruby Beach and La Push, Third Beach are two destinations are ideal windows into the peninsula's costal ecosystem. Access these beaches via short trails through the dense coastal forest. Enjoy the broad beaches and dynamic sea life of the intertidal zones. This coastline is some of the most dramatic and remote in the Northwest, and Ruby Beach and Third Beach are excellent choices to kick off your exploration of the western section of the park. The verdant walls of the temperate rainforest ecosystem. Photo by Tyson Gillard. With temperatures that rarely dip below freezing or exceed 80 degrees and an annual rainfall that can approach 170 inches, this region is the epitome of the temperate rainforest ecology. The density of plant life here is staggering; plants literally grow on and out of each other, creating tiered layers of forest. Add to this a phenomenal density of fauna, including the keystone species of Roosevelt Elk, and you have one of the world's healthiest temperate rainforests. Take a dip into this lush zone with explorations of the Sams River Loop Trail and the Gatton Creek Falls Loop. 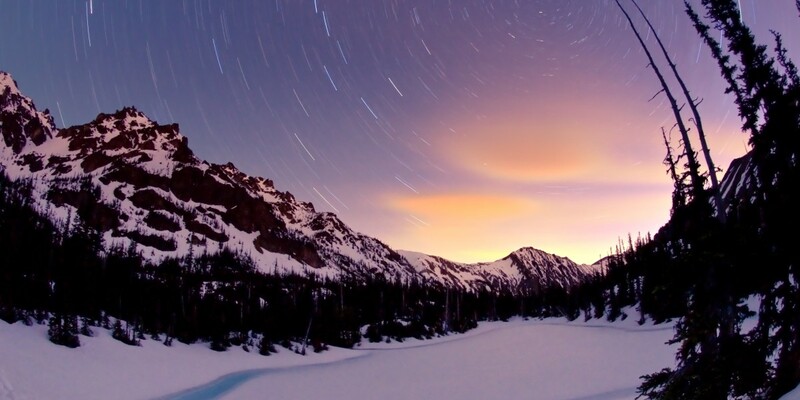 Clear nights in Olympic National Park's alpine zone. Photo by Benjamin Krause. While they fall a little short of the heights reached by some of the more lofty volcanic peaks in the nearby Cascade Range, the Olympic Mountains receive some of the heaviest snowfall in the Northwest thanks to their prominence and proximity to the coast. Pacific storm fronts charged with moisture meet the steep range and dump up to 50 feet of snow over the course of a winter. The range is home to several of the park's endemic species, including the Olympic marmot, the Olympic snow mole, the Flett's violet, and the Piper's bellflower. Whether you are looking for an extended trip or a brief introduction, you'll have options in the park. Hike up Mount Angeles or ski into Royal Basin for two great ways to start your exploration of this remarkable alpine ecosystem. Life in the Olympic Peninsula rain shadow is much sunnier and drier. Photo by Tyson Gillard. While winter in the Hoh Valley can see a drenching 18 inches of rainfall per month, towns northeast of the range may not even see that amount in a year. The days aren't all sunshine, but you'll get more UV in this part of the peninsula as well. 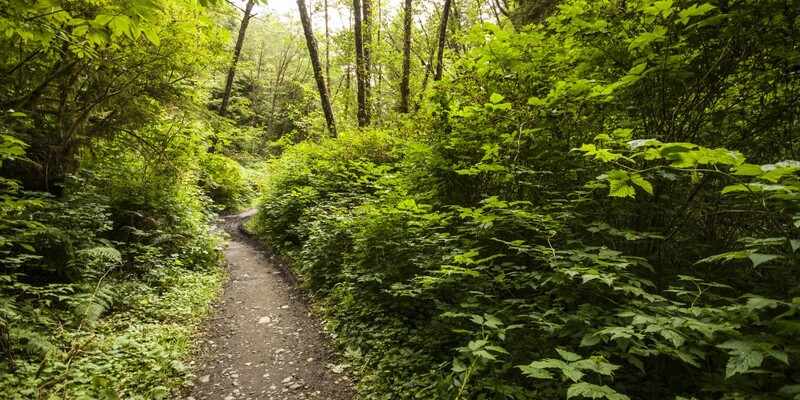 If you are venturing out for adventures in the Olympic rain shadow, be it in or out of Olympic National Park, expect to see vegetation that has successfully adapted to a climate without the rainfall and snowpack present in the west. Douglas fir and western hemlock thrive in these dryer conditions. 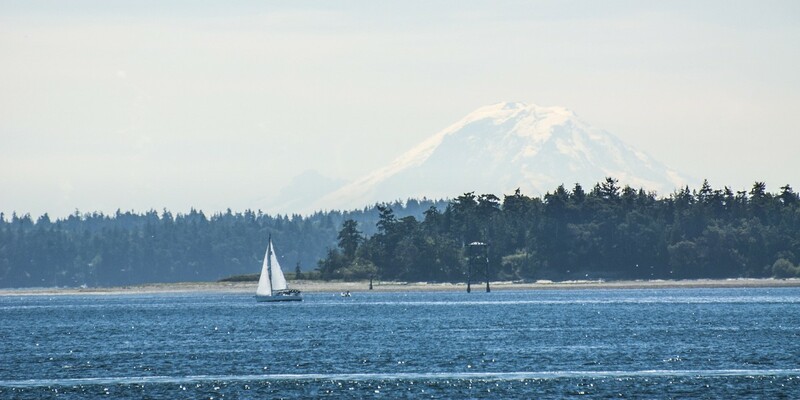 Some of the peninsula's most scenic areas are in the rain shadow, whether you are checking out Constance Pass, hiking back to Moose Lake, or simply grabbing an ice cream cone and enjoying the view from the Port Townsend waterfront.